What does genealogy (or family history, if you prefer) have to do with the homestead kids? Everything! Let us share with you our pitch for the importance of genealogy on the family homestead as well as an assortment of over 15 meaningful kids activities in family history. These are fun for both you and them so be ready to jump in, too! If you’re mostly interested in the kids activities, just scroll down. If you’d like a few good stories, read on! Genealogy, or the study of your family history, is a powerful thing in which to engage. Any homesteader understands the importance of roots. Great gardeners don’t really grow plants; they grow dirt and roots. After that, the plants take care of themselves. As a person, you are a collection of showy foliage and flashy flowers and fruit – you’re awesome. But to know who you really are, you have to dig around and examine you’re roots. The quality of the plant is determined below the surface. Fair warning: just as growing your first tomato sends you down a slippery garden slide into the realm of massive year round gardens and drowning in produce every harvest season, genealogy can be extremely addictive. You may start digging and not like everything you find. However, what’s most important is that you’re fully aware of what’s there. If there’s a problem with the plant, you’re going to most likely find your solution in the dirt. Your family may not be the Waltons but its yours. For better or worse, they helped form the person you are today. And from you come the offshoots that are your children. Families are like great big circles with our few human stories just retelling themselves over and over again. Are we improving on each season? Are we learning from the stories that came before us? Do we even know them? When I think of the modern version of homesteading, I think of the desire I have to pass on a certain way of life to my children. It’s a way of living that was lost to my American culture somewhere between The Great Depression and today. My grandparents can remember it, they speak of it to me when prompted. But my mother has no experience with it, and neither do I. I’ve had to carve out my lifestyle from my modern experience; chipping away the worldliness until I strike on something more real and solid. Something more simple. Focus one these virtues allows all the dross to just kind of fall out of our way. This is what I want my legacy to be. I want to be remembered as the mother who loved her children enough to make them work. As the wife who loved her husband enough to manage our home with my own two hands. As a woman, I want to be known as the one who always strove to be true and to be of use. After searching out my ancestors, I discovered that this desire is not original to me. The women of my family have long carried those very same wishes in their corseted bosoms. I’ve read their stories over as many centuries as I’ve been able to watch flit back on my pedigree chart. To get to the activities for kids, just skip on through these next few parts. To share a story or two with me, come meet my grandmas. I want to introduce you to some of the women of my family. They all started out as little girls who went on to become amazing women and great grandmas. Mary, up my maternal grandmother’s line, lived in a time and society that valued women who knew their place. She was married to a minister. She was quite lovely. And fiery. There are several stories of her willingness to hold her line and not take any smack off of anyone, including her husband. I offer just this one anecdote. Of an evening the minister returned home unexpectedly with a large group of men who, he informed Mary, would be dining with them. He knew it was last minute and so allowed that the meal would only be a light supper. Mary smiled sweetly (a definite sign of trouble), and set about placing their finest china and best silver on the dining room table. After some time, she called the gentlemen into the room, wished them a good meal and retired upstairs. Upon entering, the men were astonished to discover one lit candle on every plate. Their light meal had been served. I think about Mary a lot, actually. Especially when I’m feeling misunderstood, or taken for granted, or just plain tired. This homesteading life is exhausting, to be perfectly frank. But when I think about her, I imagine Mary telling me to square my shoulders and lift my head. She teaches me to never be happy in a box. She speaks to me across centuries telling me that my vision is worthy and worth fighting for. Stiff upper lip, is what I’ve learned from her. A sense of humor is vital on the homestead. Just this past week, my neighbor’s cows busted down their fence and escaped – calf and all. The fact that we live in a regular, suburban neighborhood made it necessary to get those cows rounded up before they got hit by a car or ate someone’s prized roses. As my son and I raced down the street to offer our help, I just couldn’t help laughing to myself. What a silly, totally homestead-y mess to be in – of course the cows escaped the pasture! Of course it took about six adults and some very excited kids to get them rounded up! If you can’t laugh at your cows, whom can you laugh at? My grandma, Elaine, just oozes funny. Everything is entertaining to her and every moment is an opportunity to have fun. Its in her nature. Here’s a story from her young married life. Once, when Elaine was still young enough to be running down halls, my grandpa who was nestled in bed, heard her call from down the hall, “Here I come!” He then heard her galloping towards the rooms, after which she flew across his line of sight in a mighty, messy leap. What she meant to do was jump on the bed. Since they’d moved the bed earlier that day, it was no longer accessible from the doorway and what she ended up doing was collapsing in a heap on the floor – all elbows and nightgown around her ears. My grandpa nearly wet himself laughing before he could manage to ask if she was ok. In a bit of huff, she went off back down the hall towards the kitchen, exiting the room with as much dignity as she could muster. It might have been effective at calming my grandpa’s hysterics except that she forgot the kitchen door was closed and ran right into it. His peals of laughter doubled in the bedroom, needless to say. And she is always doing stuff like that – some of it deliberate and some of it just a result of her playful, hilarious nature. *Just a note – Elaine passed away after this article was written. The Do It Yourself Homestead was dedicated in part to her. She taught me not to fret too much over the weeds of life. My other grandma, Phyllis, is my father’s mother. My children know her today as “The Grandma Who Lives in California and Sends Books.” My parents divorced when I was young, but Grandma Gardiner always took time to invite us over for roast and custard. She would share her books with us and, my personal favorite, her garden. She lived in the house her mother built with her very own hands. Sadly, that house is gone now – bulldozed to make way for a parking lot. But in my youth, that backyard was a magical place for me. Grandma grew all kinds of flowers and herbs. Each cranny was filled with something. She’s the one who taught me how to put a plant in a clay pot. And how to stake delphiniums. Grandma was the one who taught me how to lay a garden path. She was forever sharing starts and seedlings with me and treating me like a garden equal, even though I was just a kid. My maiden name is the one I got from her son – Gardiner. So, so close to gardener. I treasure that part of my name, even though my husband’s family name has replaced it in my signature (something I also treasure). These stories came to me in my youth through the efforts of my family to search out our genealogy. When I come to watershed moments in my life, or just every day problems that needed a solution, these grandmas are there for me. In the flesh or in spirit, it hardly matters. I place such a high personal value on knowing my family’s roots that I can’t imagine my life, or my homesteading lifestyle, without their influence. Thank you for allowing me to share so many stories – did I talk your ear off? That happens with genealogy! So, if these women had such a profound influence on my life, I think they can do the same for my children. They lead very quiet lives, for the most part. But, in those every days were so many extraordinary little things. Everyone has a story to tell, even the dead. To get children involved in genealogy, first think about your motives. 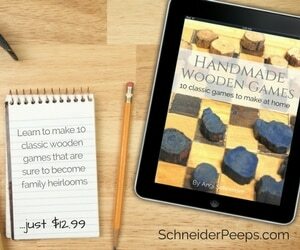 Do you want them to learn to work hard on the homestead? Do you want them to see the “why” of your lifestyle when their friends all live so differently? Are you hoping they’ll find inner strength through accessing the real life examples of people who share their DNA? Are you hoping they’ll avoid some of the mistakes they may be genetically predisposed to make? All worthy goals so the following are a few ideas of kids activities in genealogy for varying ages of children. These kids activities don’t need to be fancy, with special scrapbook materials and stickers, etc. If you love that kind of thing and want to do all that, go right ahead. But don’t let the lack of “fancy” stop you from engaging in some of these meaningful kids activities in genealogy with your children or grandchildren. The most basic is to create a small family tree – four generations starting with themselves is enough. You can use a standard size piece of paper or grab some butcher paper and make a tree the size of your wall. Cut out leaves for each person and have the kids write their family members’ names themselves. Bust out the glue, the glitter, whatever it takes to get them engaged. Here’s a short tutorial on how to construct one, if this is new to you. Teach children how to take a good picture – or, at least one that’s in focus. Teach them to label, label, label their pictures! Collect a small photo album, some cool scrap booking stickers and some fancy pens. Gift them this set and let them fill their album with pictures of the people they love. You can also create digital scrapbooks online at sites like Shutterfly. Their lives are wildly interesting – their discoveries, their questions, their games. Every day life is intriguing and your children see things from an entirely different perspective than yours. These youthful collections would make a great gift for a grandma,FYI. If you have a teenager who would like to get involved and perform a wonderful service, together you can learn how to index online at Family Search. Indexing is the process by which names from original records (marriage licenses, censuses, etc) are transcribed onto digital databases so that they are available to people all over the world. This service is done by volunteers and they’re always looking for help. Many school programs have requirements for community service hours and this would work beautifully. For more information, just follow the link above. There’s nothing like personal experience when you’re trying to learn OR teach the value of something. No amount of storytelling on our part will cement the value of family history into the hearts of our children without meaning experiences of their own. The following are some suggestions on making family history a meaningful part of your family culture. Each holiday your family celebrates, select one ancestor to research. The research doesn’t have to be much if you don’t have a lot of information. Have your child type up what they’ve found and make a copy for everyone attending your holiday gathering. When the family gathers to celebrate that holiday, set a place at the table for your chosen ancestor. Explain that the reserved spot is for your spotlighted ancestor and you hope they’ll be proud. You or your kiddo can share the information you’ve gathered as you enjoy your meal. This can be done on a simple Sabbath day or for annual holidays like Easter and Purim. Do you have a family heirloom-type ornament that the whole family treasures? If you do, sit down with the kids and write down the story of it this year. Where did it come from? Whose it is? Laminate the story and keep it in your Christmas boxes so that future grand-kids can know the story, too. You think you’ll remember, but the details fade over time. One day you’ll be pushing up daisies, unable to tell any more stories except those you’ve recorded with your pen. Cheery thought. It’s remarkable how many people are involved with genealogy these days. Something that’s difficult to do from far away is peruse headstones at cemeteries to confirm dates and names. To help with that, get your teens to put those fancy phones to use! Use your Smart phone at a nearby cemetery, take photos of headstones and submit them to the free database of images at Billion Graves. To learn how to get started, click here. Encourage your children to keep a journal of their own lives. Yes, their kids are going to want to know how much popcorn at the movie cost and what their favorite book was. Here are a few ideas on encouraging kids to keep a journal, or diary. Laura Ingalls Wilder didn’t think she’d lived a life that was of much interest to anyone but where would the world of American literature, or homesteading literature, be without Little House on the Prairie ?! Keeping a journal is a good habit to get into, especially on the homestead. I’m constantly looking back in mine to find what varieties I planted in the garden and which goat kidded when. Do you need a Homestead Journal? Make picture magnets with ancestors photos. Take a rubbing of a tombstone. Create unit study for homeschool on the time periods in which certain ancestors lived. Here’s our current genealogy craft: leaves with each person’s name in my children’s four generation chart written on the face. When we finish these, we’ll laminate them and hang them from our ceiling for our Thanksgiving feast. Our family that’s passed on is important, but so are cultivating good family relationships with those that are living. Sometimes, this is the harder task. Family is worth the effort, though, and here are a few ideas for building (or even mending) our current familial relationships. Contact far away family members using Skype, or something similar to fact find and just to chat. I love for my children to have wholesome, loving mentors outside of my home. I want them to love me, of course, but after awhile they get tired of the sound of my voice. We homeschool, so they hear my voice a lot. If my aunt, Christine, can teach my oldest how to crochet and tell her to brush her teeth, then suddenly those things become the awesomest things to do. My Aunt Christine is pretty awesome, after all. Make a list with your child of all the characteristics of your family members that you admire. Pick one to work on acquiring yourselves this week. Write a note to that inspiring family member conveying your gratitude for being so swell. This activity focuses on the positive that’s there in your family. Families are messy and not all are happy, but there’s bound to be someone, somewhere in your family tree that is the one you want to be like. If your family prays, make a list of those family members who might need some extra prayers said in their behalf. Children are very naturally self-absorbed. Praying (or sending positive thoughts out into the universe, if you’re not a formal pray-er) is a great way to teach them by spiritual repetition that there ARE things more important than them. This is an important lesson for anyone to learn. However, a homestead kid really needs to live it because cows have to be milked, eggs must be gathered and food has to be preserved whether you feel like it or not. Its not all about them. We do all this because of them – so that they can take care of themselves and others, one day. For more kids activities on the homestead and in the homestead classroom, be sure to check out our Do It Yourself Homestead Unit Study below. Our people seem to be somewhat adrift in their own times. We’ve lost something that isn’t that far removed from us, but it takes a mountain of work to return ourselves to it. What is it we’ve lost? I feel it’s a simpler lifestyle and a healthy cycle of consuming and giving back. A lot of what we’re trying to teach as homesteading parents is more about deliberately living than it is about chores. Kids activities in genealogy don’t have to be super involved – in fact, simple is best. Going back to the roots, digging our hands into the soil of our family’s history is a way to connect our children to their past and that is an invaluable thing. If you’re going to change the future, you have to understand the past. And draw strength from it. This really made me smile. I loved hearing stories of my family. My grandmother ‘Big Momma’ that was killed in a car accident. She was half American Indian but there was no record of it. It fascinated me when I was young, because I had been in a special class just for children of American Indian descent. Who wouldn’t want to be Indian? Or the tragic love story of Carl Lee and his wife. They fought so hard to be together, but within a few months, he had died in a oil rig collapse while trying to save others. She disappeared shortly after that. My grandma was born to a poor family, and spent her time working in the cotton fields with the slaves as a young child, helping to support her family. My grandfather had a wife before my grandma. She ended up being a Russian Spy. That is all I know about that, cause it is TOP SECRET! I have not really shared any of these stories with my daughter because I had not felt they were relevant to her. She did not know any of them. Maybe I need to start sharing my family stories with her. Thanks for the inspiration! Oh, Kamay! Thank you for sharing those anecdotes – those are awesome! Yes, yes, share them with your daughter. Homeschooling provides a lot more of a personal approach to education and you could really create some fun unit studies with just those stories alone. Russia, American Indians, oil drilling, cotton growing, slavery, spies, auto safety – oh my goodness, I totally want to be in your school for those. If she has a personal connection to each of those subjects, she’s never going to forget them. Have so much fun and let me know how it goes. I’d love to add anything you might come up with that I didn’t think of – or link to a post of yours, if you decide to give it a go! So glad you enjoyed it! Let me know if I left anything out that works in your family.